Please see sidebar below for forwarding to the new prisonist.org website. See you there! Please See Below for Forwarding to FamilyReEntry.org and Prisonist.org. Thank You! It wasn’t entirely false, either. Grant had an agreement with a firm at 40 Wall Street to use its conference space for the convenience of his Manhattan clients. “But I don’t think I had ever actually used the space,” Grant says. “And losing it would have had zero economic impact on my firm." Why did it not occur to Grant that he had crossed into ethical badlands? Perhaps because he’d done it already, in a rash attempt to save his once high-flying firm from ruin: “I was spiraling down. My firm was completely out of cash.” When the day came, in 2000, that Grant could not make payroll, desperation got the better of him: He borrowed from clients’ escrow accounts without their knowledge, setting in motion a New York State attorneys’ grievance committee investigation. So in the darkening whirlwind of his life, what did a little embroidery on a loan application matter? The loan came through—$247,000—an answered prayer, a well of tears. 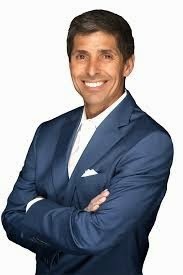 Jeff Grant is a leader, expert and speaker in (1) criminal justice/prisoner reentry, (2) recovery from opioid and substance abuse, (3) leading a successful life with bipolar disorder/other mental illnesses, and (4) spirituality/interfaith religion. After addiction to prescription opioids and serving almost 14 months in a Federal prison for a white-collar crime he committed when he was a lawyer, Jeff started his own reentry – earning a Master of Divinity from Union Theological Seminary in New York City. As the Executive Director of Family ReEntry, a criminal justice organization with offices and programs in eight Connecticut cities, he is the first person in the United States incarcerated for a white-collar crime to be appointed CEO of a major criminal justice nonprofit. He is also the Co-Founder of Progressive Prison Ministries – the first ministry in the country created to provide confidential support and counseling to individuals, families and organizations with white-collar and other nonviolent incarceration issues. Jeff can be reached at (203) 405-6249, jgrant@prisonist.org, prisonist.org. Progressive Prison Ministries, Inc. Missions: Progressive Prison Project, Innocent Spouse & Children Project, The first ministry in the United States created to provide confidential support to individuals, families and organizations with white-collar and other nonviolent incarceration issues. Greenwich CT & Nationwide. His life was defined by GARISH GRANDIOSITY, OPIOID ADDICTION and FINANCIAL FRAUD. HE ENDED UP IN PRISON. And then THE JOURNEY BEGAN. Click image to read Tim Dumas's powerful article. 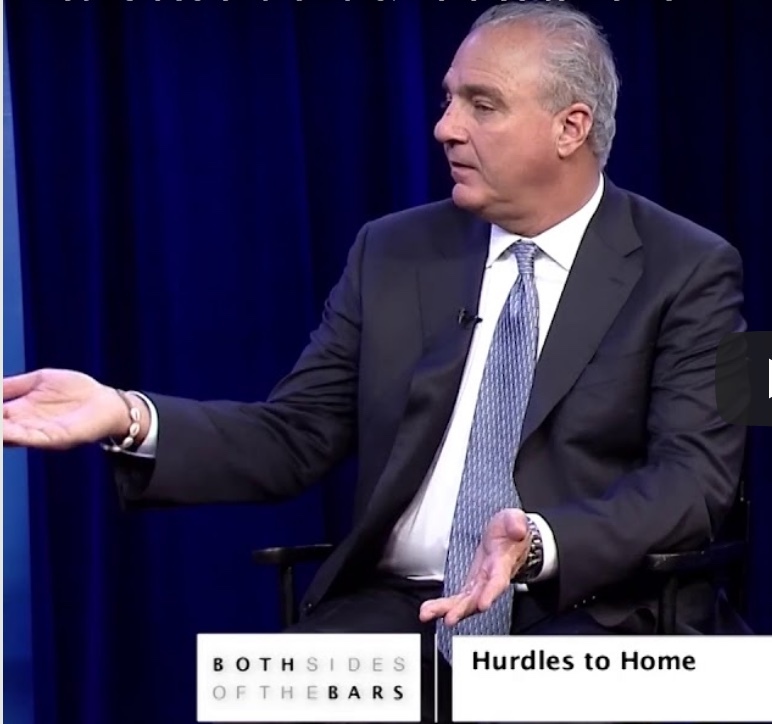 Click image to view Jeff's interview by The Fortune Society’s Khalil Cumberbatch on Both Sides of the Bars, May 13, 2018. Please click image to read Jim Schaffer's article, " Connecticut Budget Stalemate Makes State’s Bad Inequities Worse." 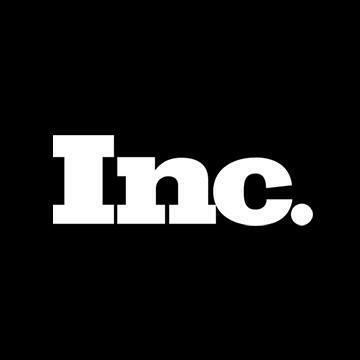 Entrepreneurship as a Precursor to Addiction: The Business Crisis of Opiates, By Tim Askew, for inc.com. Click image to view article. 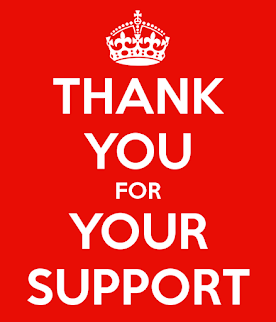 Donations: Thank You for Your Support of Our Ministries! Your support helps us to bring more humanity to individuals and families affected by white-collar and nonviolent incarceration issues. Donations can be made by credit card/PayPal by clicking the image above, or by sending your check payable to: “Progressive Prison Ministries, Inc.” P.O. Box 1, Woodbury, Connecticut 06798. We are a 501(c)(3), donations are deductible to the extent permitted by law. 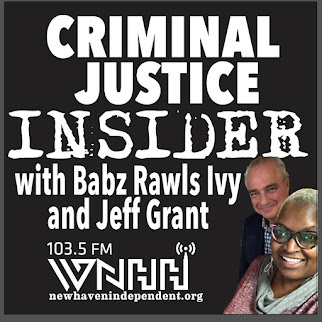 Join us on on Criminal Justice Insider radio with Babz Rawls Ivy & Jeff Grant – The Voice of CT Criminal Justice. Live on WNHH 103.5 FM New Haven and live-streaming at newhavenindependent.org. Rebroadcast at 5 pm. 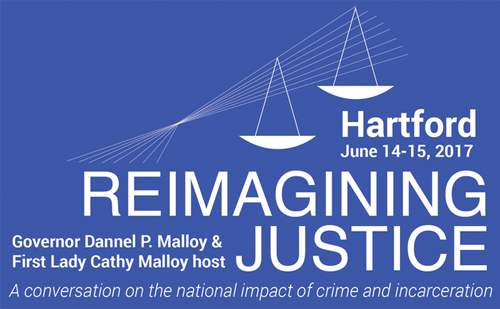 Sponsored by the Community Foundation for Greater New Haven – Now More Than Ever, and Family ReEntry – Serving the Connecticut Justice Community Since 1984. Click image for archived shows on SoundCloud. 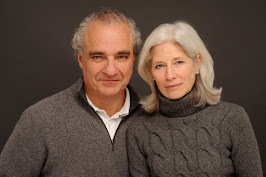 News: Our White-Collar/Nonviolent Online Support Group Celebrates It's 100th Weekly Meeting! Progressive Prison Ministries, Inc. proudly announces that the 100th weekly meeting of its national online White Collar/Nonviolent Support Group will be held on Monday, April 16th at 7 pm Eastern, 6 pm Central, 5 pm Mountain, 4 pm Pacific. It is the first confidential online support group in the United States for people prosecuted for white-collar and other nonviolent crimes. The group is open to all individuals who have white collar or nonviolent criminal incarceration issues. Each Monday evening, the meeting takes place live online at 7:00pm ET.Click image for details. 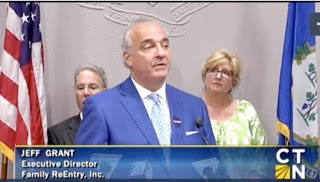 Family ReEntry was asked to present on behalf of Connecticut criminal justice nonprofits at a press conference organized by the CT Nonprofit Alliance. Legislative Office Building, Hartford, CT. Click image to view on CT-N.
WNPR's Lucy Nalpathanchil interviewed Jeff on Where We Live. Click image to listen to podcast. An Insider's View of Prison and the Road Back to the Boardroom. 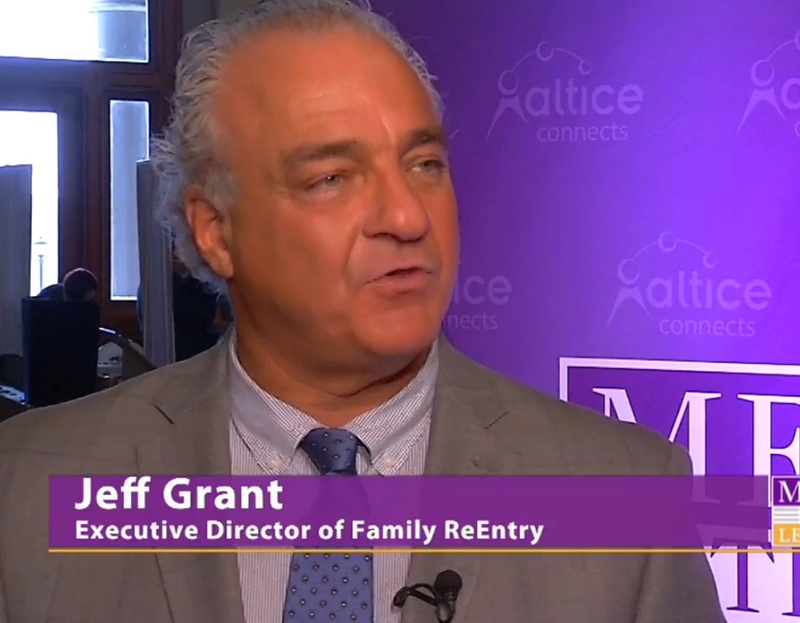 Jeff Grant, Executive Director of Family ReEntry, Bridgeport CT and co-Founder of the Progressive Prison Project, Greenwich CT talked about his incarceration in a Federal prison for a white collar crime and his long journey to a life of respect and dignity. At The Nantucket Project headquarters, Mason St., Greenwich. Click image for link. First Portal Installed in a U.S. Prison Scheduled to Open in CT this Fall. Family ReEntry, a nonprofit leader that assists families affected by the criminal justice system, and Shared Studios, a design technology company, presented the new Prison Portal Project at the Connecticut Governor's Reimagining Justice Conference in Hartford. Click image for more information. Event: Family ReEntry Led a Workshop at Simsbury United Methodist Church, Sun., May 21, 2017. We are grateful to all at Simsbury UMC for the opportunity to share a Ministry Moment at their 9 am & 10:30 am services. 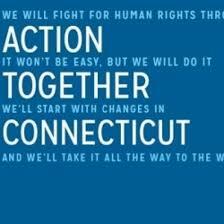 At noon we will lead a workshop on the state of criminal justice in Connecticut and what we can all do to make a difference. Lunch will be served. 799 Hopmeadow St, Simsbury, CT.Click image for details. Action Together New Haven invited us to be discussion panelists after a screening of this important movie about prison slavery in America. Moderator: Sen. Robyn Porter, CT General Assembly Panelists: Dr. Maysa Akbar, CEO, Integrated Wellness Group Orisha Ala N. Ochumare, Co-Founder, Black Lives Matter New Haven Sen. Gary Winfield, CT General Assembly Jeff Grant, JD, M Div, Executive Director, Family ReEntry David McGuire, Esq., Executive Director, ACLU Cowiya Arouna, New Haven Youth Activist, City Wide Youth Coalition Please click image for details. effrey Abramowitz and I led "You Got to Have Faith: An Inside Look at Reentry" at the 5th Annual Correctional Ministries and Chaplains Assn. Summit. Our workshop will be held on Fri., May 5th from 1:30 to 3 pm. Click image for information. Family ReEntry: Envisioning a First Chance Society. Bridgeport, New Haven, Norwalk CT.
We talked criminal justice and prison ministry with Sarah Westall on her nationally known show. Please click image to listen to archived program. We discussed the state of criminal justice in Connecticut with host JJ Kennedy. Click image for archived program. We were delighted to be invited back to Babz's show, Love Talk. Please click image to listen to the archived program. 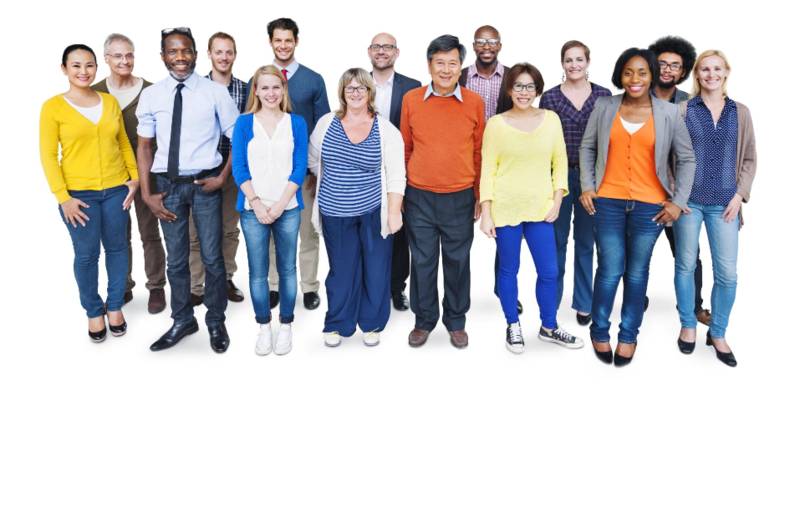 Since Jan. 2015, we have served white-collar/nonviolent individuals and families in twenty-five states, including: Arizona, California, Colorado, Connecticut, Florida, Georgia, Illinois, Kentucky, Maryland, Massachusetts, Michigan, Minnesota, Mississippi, Missouri, Missouri, Nebraska, New Jersey, New York, North Carolina, Oklahoma, Oregon, Pennsylvania, Texas, Virginia, and Washington. We typically communicate with these individuals and families before, during and upon reentry from prison in person or by phone, email, Skype, FaceTime, GoToMeeting or, if in a Federal prison, via CorrLinks. Please click image for our information package. We are honored to announce Jeff's appointment. 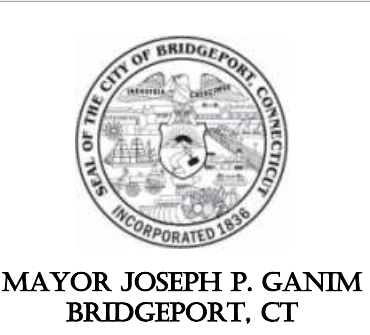 This Council convenes Greater Bridgeport area criminal justice leaders, and collaborates with Bridgeport Mayor Joseph Ganim and the City of Bridgeport Mayor's Initiative for Reentry Affairs (MIRA), under the leadership of Program Director Louis L. Reed, on issues and solutions. Interview: WGCH 1490 AM, Greenwich, CT. Original Airdate: Tues. Jan. 31, 2017. Rev. Jim Lemler, Rector and Senior Pastor of Christ Church Greenwich, interviewed Jeff for his radio show, "On Faith." It is presented on The Greenwich Sentinel Radio Hour. Please click image to listen to archived show. Challenge: To Harvard Business School Professor Eugene Soltes to Debate His Book, "Why They Do It." I have issued a challenge to Harvard Business School Professor Eugene Soltes. 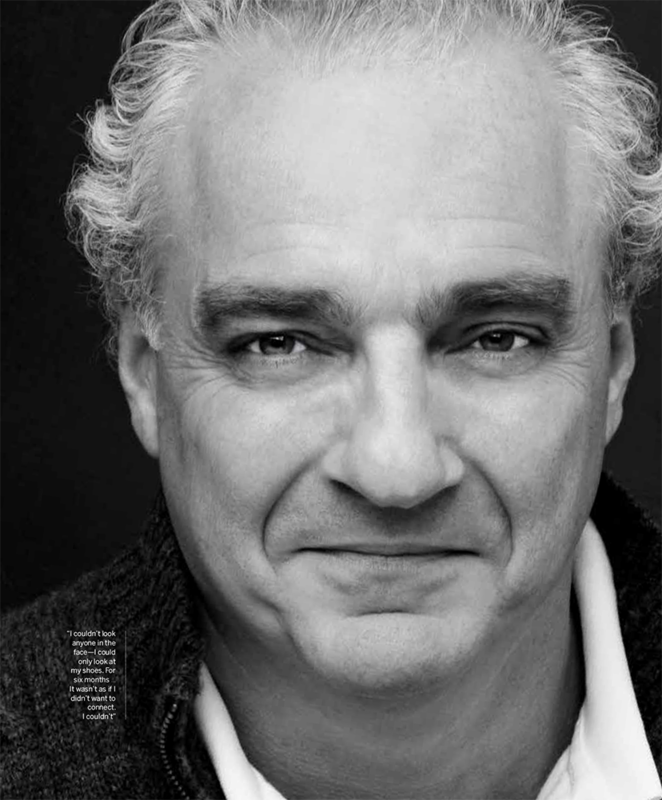 I will meet him in Cambridge (or anywhere) to debate his book: "Why They Do It: Inside the Mind of the White-Collar Criminal." He can question me about my white-collar crime and ministry, and I can question him about his ethics in researching and writing his book. I hope you will attend if he accepts? This is a rallying cry against shame, stigma, and sensationalism and for criminal justice reform, compassion, empathy - and journalistic integrity. Click image for more information. 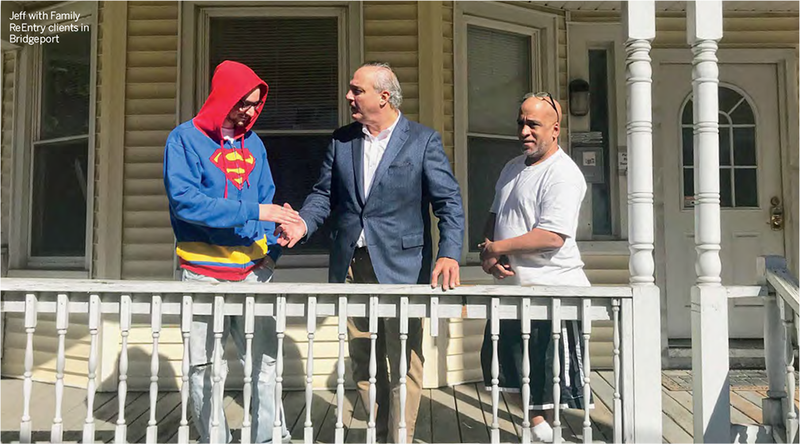 Click image to read Beatrice Codianni's article, "Jeff Grant's Story is an Inspiration to Other Formerly Incarcerated Individuals." We are grateful to Rev. Shannon White and all at this church dedicated to social justice for the invitation to worship and lead an adult education workshop. Please click image for details. Louis L. Reed, Darren Ferguson and I led a workshop at the United Methodist Church Board of Church & Society CT District Resource Days. Prospect United Methodist Church, Bristol and Golden Hill United Methodist Church, Bridgeport. Please click image for details. 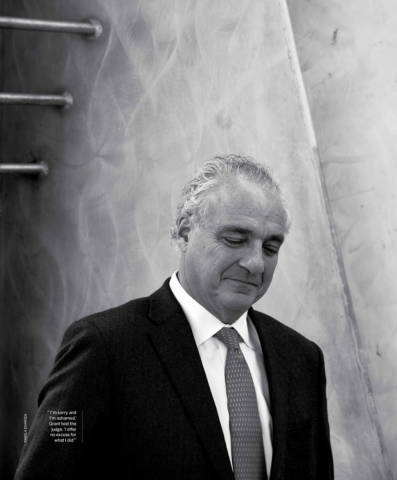 Fairfield County Business Journal: Grant’s elevation — he’s served on Family ReEntry’s board of directors since 2009 — marks the first time that a formerly incarcerated white-collar criminal has served as the head of a major re-entry agency. “It’s a tremendous step, and a bold decision on the board’s part,” Grant said. “This is a transformative period for Family ReEntry. I owe them my fresh start, so of course I said yes when they offered me the position.” Please click image to read Kevin Zimmerman's article. If you, a friend or a family member are experiencing a white-collar or nonviolent incarceration issue, please contact us and we will promptly send you an information package by mail, email or via Dropbox. The darkest days of a person's life can be a time of renewal and hope. Click image to listen to Felipe & Jeff discuss faithful responses to criminal justice issues in America (at 19.00). Jeff & Felipe were classmates at Union Theological Seminary in the City of New York. Rachael Levy wrote a powerful article about our ministry, "This is What it's Lke When the 1% go to Jail, According to a Couple that Ministers to Their Families." Click image to read article. 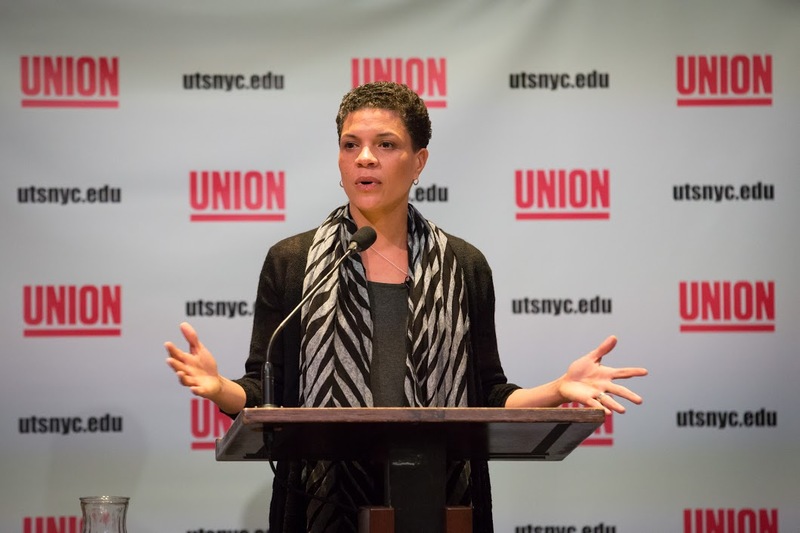 News: Michelle Alexander, Renowned Legal Scholar & Author Joins Union Seminary in NYC! Michelle is the author of the groundbreaking book, "The New Jim Crow: Mass Incarceration in the Age of Colorblindness." Congratulations to Michelle & to our alma mater, Union Theological Seminary!﻿ Click image for information about this important news. Thank you to our great friend and colleague Rev. Monsignor Joseph Ciccone, for the invitation to join the clergy team at this important new church. It is a Progressive Catholic Church that welcomes all. Click image for more information. Article: Forbes Article About Our Ministries: "A New Class Of White-Collar Victims, The Family." 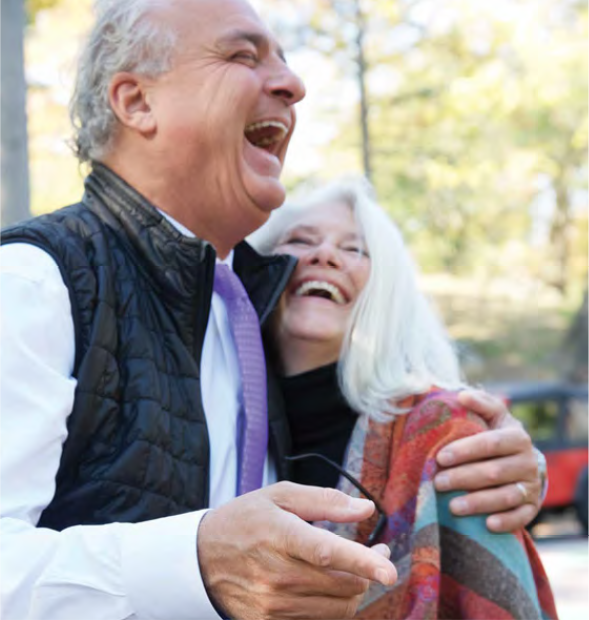 Read Walt Pavlo's article about our ministries and the successful resolution of our lead case - the first time in United States history that an innocent spouse has been compensated after her personal assets were wrongfully seized by the government. This was the largest Federal financial crimes case in the history of the State in which this matter was prosecuted. We are honored and grateful to have been of service to this family. 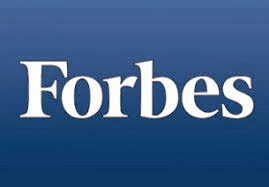 Click Image for Forbes article. Please click image to read Tim Askew's column about our ministries, "What Successful Entrepreneurs and Successful Criminals Have in Common." 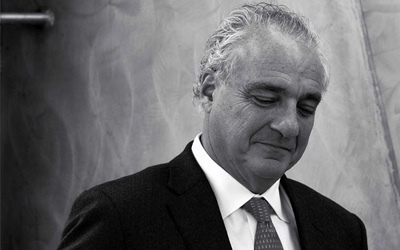 "Helping hedge Funders Cope With Prison: A Q&A with the Director of Greenwich-based Progressive Prison Project," by Lawrence Delevingine (now with Thompson-Reuters). This is the interview that brought our new form of prison ministry to national attention! Click image to view this article. 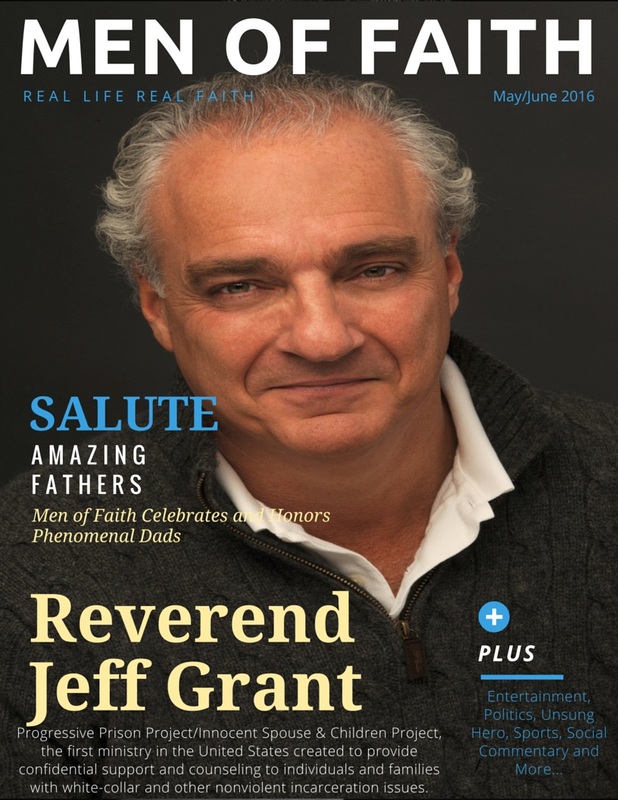 Please click image to read Hurley Morgan's "An Interview With Jeff Grant" in Men of Faith Magazine, May/June Issue (pg. 8 -11). Issue release date May 18, 2016. 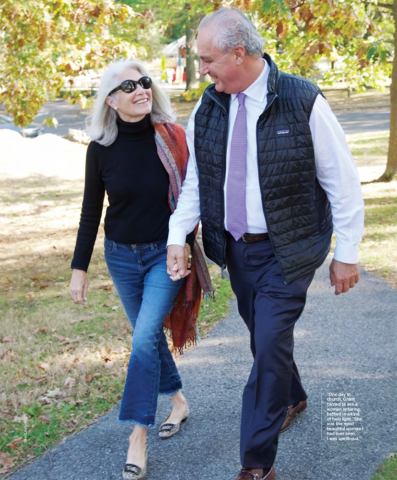 Please click image to read the Women Walking By Faith May/June Issue, Women's Ministry/Organization Highlight: "A Chat With Lynn Springer" (page 24-25). Issue release date May 16, 2016. Please click image to read the inspirational story by our newest advocate, Jackie Polverari. "I am now branded with a scarlet “F” on my back as I am a felon. I can never go back to my old life-style. In an electronic world of the internet, I can never get away from this crime. So I have decided to embrace who I am and let the world know that I am here and I will make a difference." Click image to read Gregory Menti's article, "Former White-Collar Criminal Turns Focus to Spirituality and Helping Others." We were invited back by Babz Rawls Ivy to appear on her Love Talk radio show, FM 103.5, WNHH, New Haven, CT. Please click the image to listen to the archived show on SoundCloud. We were interviewed by David Miller, Director of the Princeton University Faith & Work Initiative, before a gathering of 200+ leaders dedicated to ethical business practices. Click image to view highlight videos (8:08) or full-length video (49:53). We couldn't be prouder of Jeff's alma mater. Click image for story. We were interviewed by Cheryl Lacey Donovan on Real Life Real Faith radio. Please click image to listen to the archived show (at 30:30). To read Jeff Eydt's article for The Hour, "Ministry Counsels People Who Committed White-Collar Crimes," please click image. Article: Our Ministries Featured in the January 7, 2016 issue of the Greenwich Sentinel. Please click image to read Evan Triantafilidi's article about our ministries, "A Worldly Fall, A Spiritual Ascent," that appeared in the Jan. 7, 2016 issue of the Greenwich Sentinel. 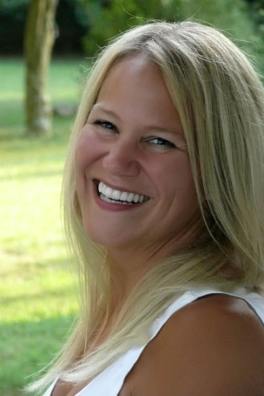 Lynn Springer is the Founding Advocate of the Innocent Spouse & Children Project. As the innocent partner of a white-collar criminal, and a mother, Lynn is called to this ministry with a heart of compassion and understanding. She assists women and families in finding ethical ways through faith and practical solutions to a new, sturdy, healthy way of life. 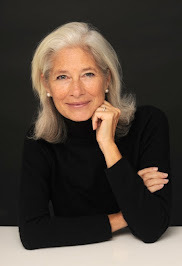 Lynn’s concern for children and social justice for all people led her to several nonprofit Board and volunteer situations, including: as curriculum consultant and essay reader at Friends of Nick, a NYC faith-based foundation created to build character and integrity in underprivileged inner city youth; as a member of the Board of Directors of Pathways, Greenwich, CT, at which she advocated for the needs and care of the mentally ill; and on the Board of the International Aids Charitable Foundation, NYC. She is a long-time supporter of criminal justice/prison initiatives: Re-Entry Ministry, a faith- based halfway house for women in E. Bridgeport, CT, Family ReEntry in Bridgeport & New Haven, CT, a nonprofit serving formerly incarcerated people and their families, and Pivot Ministries, Bridgeport, CT, a faith-based halfway house for addiction recovery. As a woman of faith, Lynn was pleased to serve terms as Deacon and Senior Deacon at the Second Congregational Church of Greenwich, CT. Together with her husband Rev. Jeff Grant, Lynn co-founded the Fresh Start Garden of Hope - a Family Reentry project where ex-offenders helped to convert a blighted block in inner city Bridgeport into the largest privately owned public use park and garden in the State of Connecticut. Lynn and Jeff speak together about their ministry on a regular basis on local radio shows and in houses of worship. For more information and to reach Lynn Springer: prisonist.org, lspringer@prisonist.org. We were honored to be among seven guest preachers at this special service. 75 Church Lane, Westport, CT. Please click image for details and directions. Please click image to read the Weston Forum article about our faith & dignity talk at the Weston Kiwanis Club. We are so grateful to the American Baptist Churches USA for awarding us a $2000 grant to provide one-time stipends to individuals or families with white-collar or nonviolent incarceration issues to be used for short-term expenses. Please feel free to email us if you require assistance. The funds will be administered by Jeff's Supervising Minister, Rev. Hopeton Scott of the First Baptist Church of Bridgeport. We are grateful to Rev. Katy Piazza and the vestry for the invitation to have guest preached about shame, schadenfreude and metanoia at this wonderful church in our hometown. Please click image to read this sermon. Sermon: We Guest Preached at the Unitarian Church in Westport, CT, July 3, 2016. We were honored to guest preach at this wonderful church dedicated to social justice on the topic of "After Trauma: The Time for Spiritual Growth.". Click image for copy of sermon. 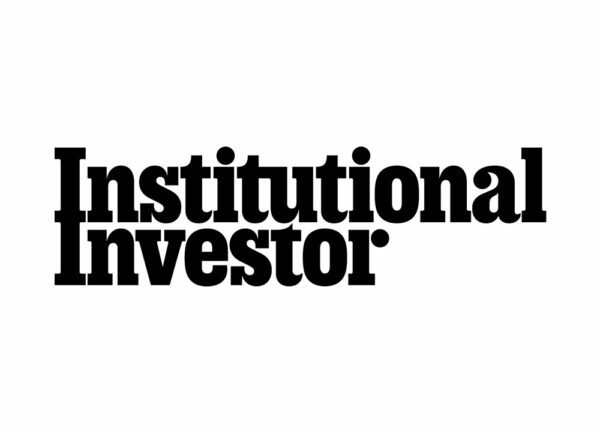 This article about our ministries appeared in the New York Magazine Daily Intelligencer after our interview in Hedgefund Intelligence/Absolute Return. Click image to view this article. 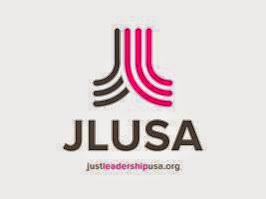 We are honored to have been selected as one of the country’s "Fifteen Leaders in Criminal Justice" at JustLeadershipUSA's benefit in NYC. 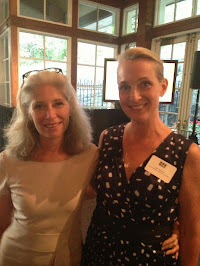 Glenn E. Martin is the Founder/President of JustLeadershipUSA; Piper Kerman, author of Orange is the New Black, was Honorary Chair of the event. Please click image for more information. 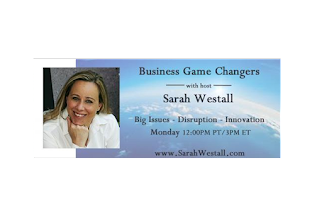 We were interviewed by Lisa Wexler on her radio show. Please click image to listen to the program on SoundCloud. 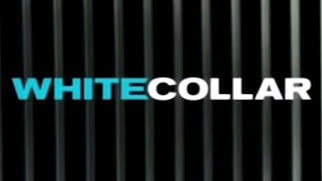 This was Walt Pavlo's first article about our ministries, "Starting a Discussion on White Collar Crime & Recovery." Walt is one of the few reporter/commentators on the national white-collar scene who is evenhanded, fair and does not write sensationalized stories. Click Image for article. We were interviewed by our dear friend Babz Rawls Ivy on her radio show, LoveBabz LoveTalk, on FM 103.5 WNHH New Haven CT. Please click image to listen to the archived show on SoundCloud. Article: Our Ministries Featured in the December, 15 2015 Issue of "The Vision"
The Newspaper of The New York Annual Conference of The United Methodist Church. Dec. 15, 2015 edition, page 8: White-Collar Ministry: A Riches-To-Rags-To-Redemption Story. Click image for story (on page 8). Read Lynn's Interview in Greenwich Time about the devastation of white-collar crime upon innocent families. Click image for story. Hartford Library, Oct. 18, 2015. Moderator: Andy Thibault. Panelists & Participants: CT Corrections Commissioner Scott Semple, Judge Robert J. Devlin, Jr., Bonnie Foreshaw, Deb Rogala, Robin Cullen, Gary Roberge, Rev. Jeff Grant. Click image for CT-N Video. Article: Our Ministries were Featured in the Weston Magazine Group. Our story in three pages! 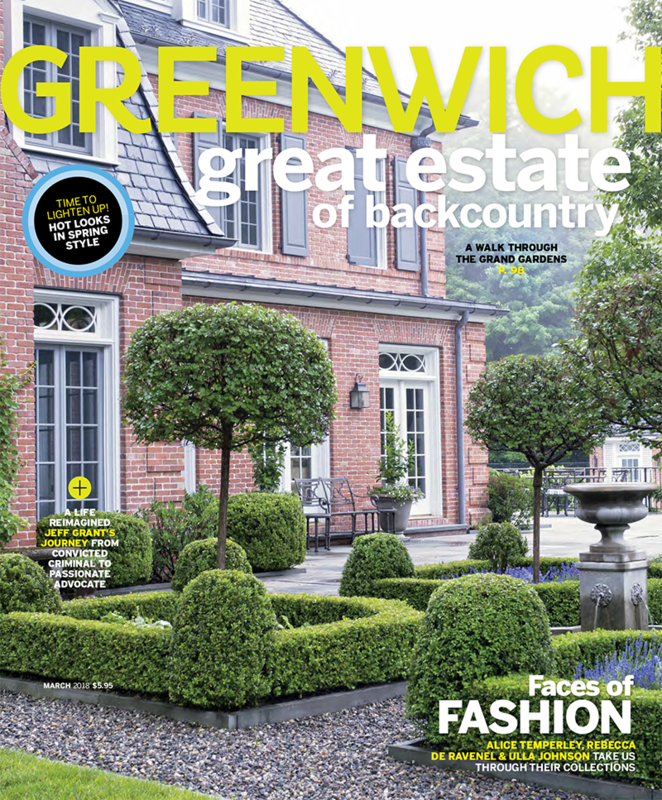 We were featured in Greenwich Country Capitalist and all fourteen of the Weston Magazine Group's 2014 summer issues. Click the image to read article. "Coming Home After Prison: A New Reality" with featured guests Rev. 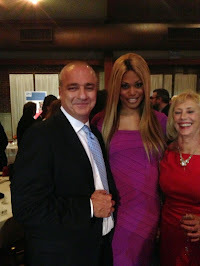 Jeff Grant, Progressive Prison Project/Innocent Spouse & Children Project and LaResse Harvey, A Better Way Foundation. This event was videoed by CT-N, click the image to view the video. Thank You For Your Donation To Our Ministries! Donations Are Our Only Source Of Revenue. We are grateful for all donations made to our Ministries. Donations can be made by credit card/PayPal via the Donate link below, or by sending your check payable to: “Progressive Prison Ministries, Inc.” P.O. Box 1232, Weston, Connecticut 06883. Progressive Prison Project/Innocent Spouse & Children Project are missions of Progressive Prison Ministries, Inc. We are a CT Religious Corp. with 501(c)(3) status - all donations are tax deductible to the extent permitted by law. News: Announcing the Successful Resolution of Our Innocent Spouse & Children Lead Case! Imagining a new era of ministry/advocacy recognizing the spouses & children of white collar and other nonviolent criminals as victims (in appropriate cases), we led a team of national-firm professionals who gave of their time to achieve, for the first time in United States history, a resolution for an innocent spouse in which she has been compensated after her personal assets were wrongfully seized by the U.S. Government (together with her husband’s assets when he was the defendant in a financial crimes case). Click image for details. Patrick Gallagher wrote a front-page article about our ministries, "Collared: From Lawyer To Minister." Click image to view article. "Building Bridges: Refocused. 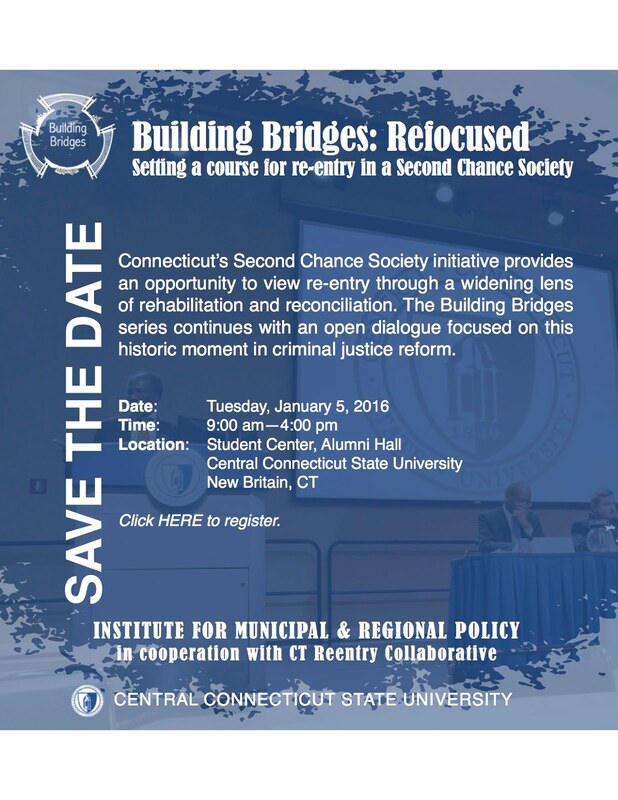 Setting A Course For Reentry in a Second Chance Society." Tues., Jan. 5, 2016, CCSU. Please click image for more information. 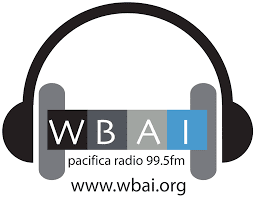 Our radio interview with Darby Cartun aired on Tues. Dec. 15, 2015. To listen to the program on SoundCloud, please click the image above. Michael Santos is an amazing guy, who has started, among many other things, a program to bring podcasts to prisoners to give them hope in a better future when they are released. We are honored to be among his first online interviews. Click image for link to parts 1 & 2. (ph. Charles Grodin/Jeff Grant at book launch) We are honored to be among thirty-two Connecticut criminal justice professionals called together to write and edit this important book. Please click image to order individual copies through Amazon - group copies can be ordered at the book website, thejusticeimperative.org. Click image to sign up. MJI will keep your e-mail address confidential. MJI will not sell, rent, or lease its subscription list to third parties. 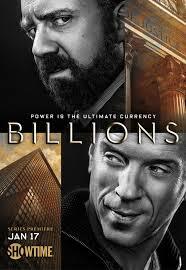 On Jan. 8, 2015, The Greenwich Film Festival hosted the Connecticut Premiere of the Showtime Series "Billions" at The Greenwich Country Day School. Wonderful! Article: Reentry Central: From Lawyer-to Prisoner-to-Reverend: A Tale of Redemption. Read our story on ReentryCentral.org (1/8/15): From Lawyer-to Prisoner-to-Reverend: A Tale of Redemption. How one man survived prison and became a source of inspiration to others. [Thank you Beatrice Codianni & all at Reentry Central. - Jeff]. Click image for link. Sermon: What, Me Worry? A Sermon About Depression & Incarceration: Matt. 6:25-34. Please click the image for the text of Jeff's Sermon from Aug. 24, 2014 at The First Baptist Church of Bridgeport. Jeff's sermon about his transformation and founding a prison ministry that supports people accused or convicted of white collar and other nonviolent crimes and their families. Click image for YouTube Video. When Jeff guest preached on "Forgiveness," people in attendance told us that it was one of the most touching - and surprising - moments in church they ever witnessed. Click image for the text of the event (audio available at the bottom of the event page). News: We Are Meditating At The Redding Center For Meditation. The Redding Center for Meditation’s mission is to help people develop the self-awareness and inner peace necessary to live life in a skillful way. The Society does this by providing a serene, contemplative space for the practice of insight meditation, under the gentle and experienced guidance of resident Buddhist monks, and in the context of a supportive community of fellow practitioners. 9 Picketts Ridge Rd., West Redding, CT, 203-438-0440/203-244-3130. Click image for more info. ReentrySurvivors.com Wants To Know Your Story! ReentrySurvivors.com is a website publishing stories of successes and difficulties after prison to inspire others, change public attitudes, create more employment opportunities, and provide encouragement and hope. "Many in the process have also been granted pardons, putting their past records behind them." Click image for more information. We want to thank CCAR and Michael Askew for their leadership and vision in pioneering a culture of pardons from the first day of an ex-offender’s release public through service, volunteerism, goodness, dedication, forgiveness, grace, discipline, faith, and family. Thanks as well to ABCUSA and Pastor Hopeton Scott of the First Baptist Church of Bridgeport, for a grant of $4000 to reimburse client pardon expenses. Click image to learn more about CCAR. For more info: michael@ccar.org. We had a wonderful evening at the Women's Prison Assoc. Dinner, Central Park Boathouse, NYC with Piper Kerman (a WPA Board Member), Jenji Kohan (producer of OITNB on Netflix), and the cast of OITNB - a blast! At the Women's Prison Assoc./Orange Is the New Black Party at the Central Park Boathouse! 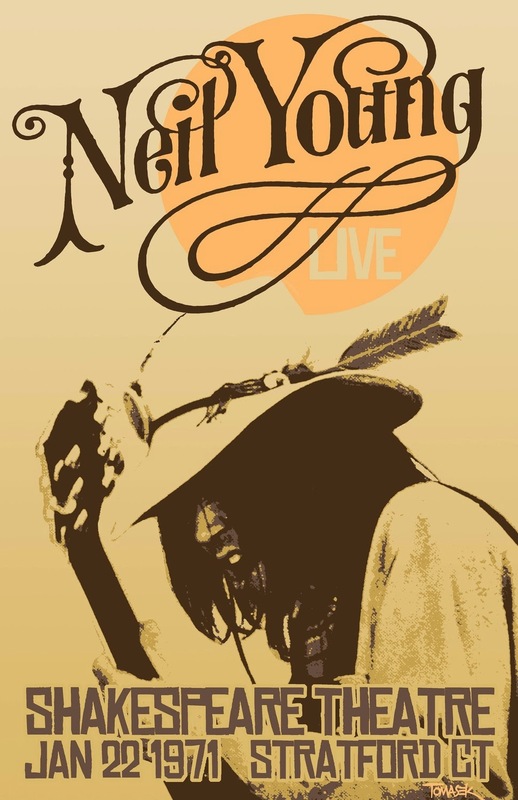 News: Jeff's Letter to Neil Young Has Gone Viral! Dear Neil Young, I am writing to you let you know how you've inspired my transformation story and prison ministry... Click image to read the rest of this letter & see for yourself why it has gone viral. The Art of Surviving Prison Workshops offer hope and inspiration to anyone in need of a second chance in life. They are a cautionary tale to fast-paced professionals and families of what happens when we put our drive to make money before ethics and compassion. They also provide lessons in how anyone can survive and succeed the prison journey and come out the other side with a happier, more faithful life. Blended with specific and graphic details about living conditions, survival skills and spirituality learned inside modern day prisons, these lessons can and should be applied to everybody's life. Please contact us to discuss these workshops for your organization or group. Founded in 2012, the Progressive Prison Project/Innocent Spouse & Children Project are Missions of the Progressive Prison Ministries, Inc. - incorporated under the State of Connecticut Religious Corporations Law in 2014; 501c3 approval in 2015. We hope you will join with us and help us to become all that God intends for us to be - so that we may ever provide better spiritual service, comfort and support to and for families and members of the community affected by white-collar and nonviolent incarceration issues. © 2017 Progressive Prison Ministries, Inc. All Rights Reserved. Progressive Prison Project™, Innocent Spouse & Children Project™, Progressive Prison Ministries™, White Collar Ministry ™, Prisonist™, PPPX™, "Expect Miracles. Allow Them To Happen"™, From Serving Time to Time Serving™, Faith & Dignity™, "Faith & Dignity for the Days Ahead"™, Last Stop Babylon™, The Art of Surviving Prison™, Down & Out in Greenwich™, and all logos and designs connected therewith, are protected trademarks.